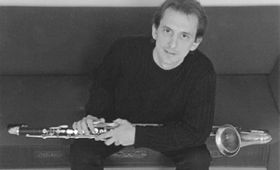 Fritz G. Berthelsen received his education as a clarinetist and bass clarinetist at the Swiss Music Conservatoire in Genève from Thomas Friedli. He played in several modern music ensembles, and held positions as teacher and music school director. Since 2014 Fritz works as a freelance musician, a consultant for Lohff & Pfeiffer for Scandinavia and Baltic, and as a bass clarinet specialist. Due to his many talents is he also responsible for our web design.